Last week we shared the story of a basketball player who suffered from chronic Achilles tendon pain and how we helped by using a combination of immobilization, extracorporeal shockwave therapy, and biopuncture. We’d like to share another recent story about a runner and triathlete who suffered from the same type of overuse injury. At The Center for Podiatric Care & Sports Medicine, we really customize our therapies to your unique situation, rather than presenting a “one-size-fits-all” strategy as a general practitioner might. Gait analysis is a helpful tool in treating Achilles tendon injuries in runners. Why Do Runners Injure Their Achilles Tendons? Avid runners are the biggest cohort of people coming in with Achilles tendon ruptures. Given the mechanics of running, particularly with the heel striking the ground and absorbing all the force — up to 3x a person’s body weight, in fact — it’s not surprising that the Achilles is one of the most common injuries runners face. What most people don’t realize is that a sore Achilles actually shortens when it tenses up from mechanical stress. Even though it is a thick cord of tissue, tendons sometimes react to the stressful demands we put on them in undesirable ways. For instance, the tendon shortens and reduces in toughness with high amounts of activity — in preparation to move heavy loads. When subjected to this heavy loading repeatedly, though, the tendon exists in a state of chronic inflammation. The tissue weakens and tears may occur when enough rest is not given. If you know any runners, you know one thing is true: they hate to hear the “R” word! Stretch & Strengthen: To treat the overuse injury, we proposed a stretching program, first and foremost. The looser and more flexible the tendons are, the more shock they are able to absorb without becoming inflamed — and the less likely they are to tear. Weak calf muscles, poor ankle range of motion, and excessive pronation are all factors present in chronic Achilles tendinopathy cases. Stretching is something that many people scoff at, but in our practice, we have seen these simple exercises make all the difference in the world. Of course, for chronic cases, the stretching is not enough to heal the acute pain. Acute Pain Relief & Healing: Next, we implemented homeopathic injections (biopuncture) directly at the site of injury to stimulate healing. These plant-derived compounds have been shown to reduce the activity of inflammatory enzymes and hormones like interleukin 6, TNF alpha, and cyclooxygenase. We find that biopuncture treatment is easily tolerated by patients without side effects. The worst cases of acute pain may require up to three treatments per week, with results beginning after the sixth injection. Many of our chronic pain patients require only weekly injections and feel the results rather quickly. Long-Term Biomechanical Improvement: With runners, in particular, we go the extra mile to see how biomechanics play a role in these chronic conditions. The shape and structure of the foot, as well as a person’s specific stride, play a major part in the development of chronic pain. Treatment will not help if these alignment issues are not addressed. 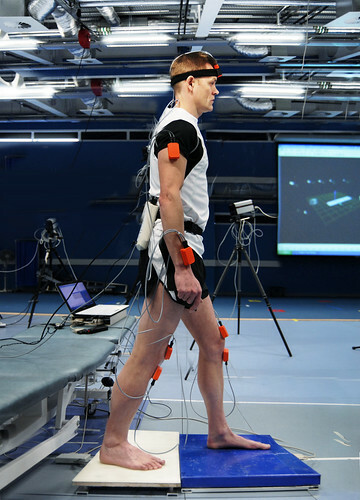 Our centers are equipped with computerized gait analysis equipment for in-depth diagnostics. “We evaluated the runner while he jogged on a treadmill and ended up fitting him with custom orthotics to improve his foot alignment, which would decrease repetitive strain on the tendon,” explains Dr. Lai. In addition to the treatment we just mentioned, we can also treat strained or torn Achilles tendons with: extracorporeal pulse activation therapy, platelet rich plasma injections, focused aspiration of scar tissue, cryotherapy, and different types of surgeries. For your convenience, you may book a consultation with one of our board-certified sports medicine professionals in Westchester or Manhattan online.